Strawberries sparkle on vines throughout Japan. Elegant patisseries showcase the red jewels atop cakes and ice cream sundaes. Strawberries are also consistently combined with chocolate. 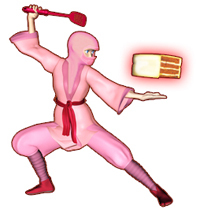 As a child in Tokyo, I always tried to make my chocolate strawberry lollipop last as long as possible. Apollo: One of many popular strawberry chocolates in Japan. Hershey's Dark Chocolate Kisses add a deep chocolatey bite to the cookies. 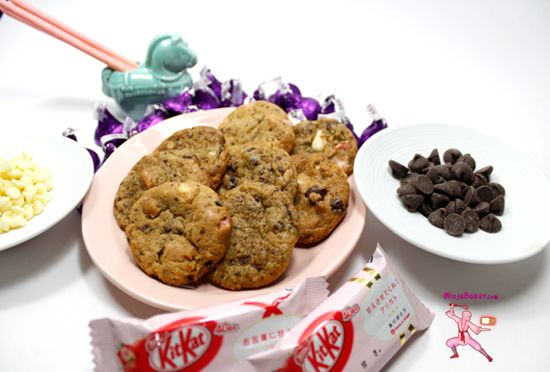 My white chocolate cookie is stuffed with bits of Strawberry Pocky and Kit-Kat from Japan. The Japanese have taken America's Kit-Kat to another level by introducing flavors which include matcha green tea, wasabi (Japanese horse radish), ume (plum blossom) and strawberry. To my Strawberry Pocky Chocolate Cookies, I added American white and semi-sweet chocolate chips. I cut down on the sugar because white chocolate drinking powder was substituted for unsweetened baking cocoa. Surprisingly, the cookie is not that sweet. Happily, the strawberry Pocky and Kit-Kat flavors do shine. Still, next time, I might add a few more strawberry Pocky and Kit-Kats and chocolate chips. Of course, temper the cookie dough to the liking of your sweet tooth. Studding white chocolate cookies are Japanese Strawberry Pocky and Strawberry Kit-Kat. Chips of white and semi-sweet chocolate also speckle this whimsical take on traditional chocolate chip cookies. The recipe is inspired by Averie Cooks and Momofuku Milk Bar's Compost Cookies. Yields approximately 60 small cookies. With the paddle attachment of a stand mixer, beat together the butter, sugars, eggs and vanilla bowl in a large bowl. After the ingredients are well blended (about 4 minutes), add the pudding mix and cocoa. (Remember to scrape the bowl often and between additions.) Next, pour in the flour, baking soda and salt. Stir in the Pocky, Kit-Kats and chocolate chips. Spray a mini ice cream scooper with butter flavored cooking spray. Onto a parchment lined cookie sheet, place mini mounds of cookie dough. Flatten gently with your fingertips. Preheat an oven to 350 degrees. Bake for 8 minutes. (You should see golden edges on the cookies.) Cool for 3 to 5 minutes…Next, dive in! And enjoy! Tips: With a spatula, scrape the mixing bowl between additions of ingredients. Do not use sugar free or cook ‘n serve pudding mixes. Also, feel free to substitute brown sugar for the Sucanat. Strawberry Fun Facts: The plump, ruddy-faced fruits are popular at tables around the world. In Germany, a party in May is not a true party until Erdbeer Bowle - strawberries swirled in with German sparkling wines - appears. New York style cheesecakes commonly boast the ruby gems. Also, when too shy to say, “I love you”, many an American boy has offered up a strawberry covered chocolate to an attractive girl. Since the 1800s, when the Japanese adopted the Western fruit, Japan has become the world’s largest producer and consumer of strawberries. Many Japanese and ex-pats enjoy strawberry picking excursions. 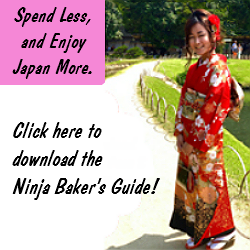 Here are two links which cater to the English speaker in Japan. The theme this month is Berries and Chocolate--because we all have a little spring fever! Creative Cookie Exchange has decided to stop using the linky. What this means is that the only way to join in the fun is to become a host. Just contact Laura at thespicedlife AT gmail DOT com and I will get you added to our Facebook group, where we discuss our cookies and share links. Wishing you a berry delightful week!